The social selling index for the Nordic region is up 64% in the last three years. Here one avowed anti-geek explains how LinkedIn is turning the region into social selling leaders. I had every opportunity to become a technology nerd when I was growing up. My father worked for Ericsson, one of the biggest technology companies ever to come out of Scandinavia, and I spent my formative years in Japan, where he was working at the time. Here I was in the land of early adopters where being tech-savvy was firmly in the mainstream, and yet it didn’t rub off on me. I was always interested in action, and technology was only worthy of my attention if it enabled me to do something faster and more easily. The last thing I wanted to know about was how it worked. In fact, technology that needs too much explanation, I’d avoid it like the plague. One of my strongest memories of our time in Japan is of my father, in 1994, showing me an early internet site and telling me that this new ‘web’ would change the world – and transform the way we did everything. Most nine year olds might have been excited. I looked at him like he was crazy. 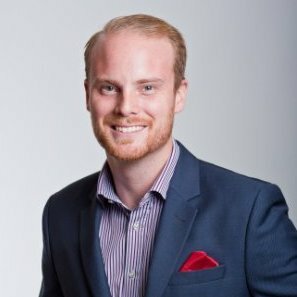 So why was it suddenly so important for this technology Viking to be a part of LinkedIn? In the course of one conversation, I’d seen how this technology solution would inevitably change the way that business is done. And I’d seen that this wasn’t a revolution only for geeks. I knew that if Robin Bjorklind could understand the value and make it work, then anybody could. I’d spent the previous 10 years working in sales in Gothenburg, and going about things the traditional Viking way: hard-charging through reams of cold calls that I hated but would tough out anyway, as it was the only means of getting things done. One day, my father (still trying to inject some tech-savvy into me after all these years) showed me LinkedIn and suggested I should become a member. For once, I listened. I enjoyed making connections and staying in touch with colleagues, but for a while that was as far as it went. I was building up a pretty good professional network – I just didn't know why. Then I spoke to LinkedIn about a job and in a few minutes, they showed me why everything had to change. At the time, my sales job involved generating leads amongst CFOs – and with no other means of identifying or contacting them, I was getting through between 30 and 40 cold calls a day. My soon-to-be-colleagues introduced me to Sales Navigator – and showed me how to use it to identify 228 Gothenburg-based CFOs in around two minutes, complete with common connections and routes I could use to turn them into warm leads. In a matter of seconds, I’d created a viable lead list for the next two years. And I didn't have to make a single cold call to act on it. I made the move to LinkedIn to market Sales Navigator to businesses in the Nordics, because I knew that what we can offer is the difference between being competitive in the future, or not. I’ve become fond of saying that in five years time, the businesses that are successful will be those that have been using social selling for at least four of those years. I felt so strongly about it when I started at LinkedIn that the first call I made was to my old employers. I told them about the 228 leads in two minutes – and now they are on the Sales Navigator platform, and making great use of it. They’re not alone. LinkedIn’s Social Selling Index shows just how quickly the Nordic region is switching onto this new way of doing business. In this area, we’re quickly becoming the tech pioneers that people like my father would want us to be, with our index score up 64% in the last three years. But I know that’s just the tip of the iceberg. LinkedIn can make a huge difference to businesses in our region – and I’m proud to be a part of making that happen. 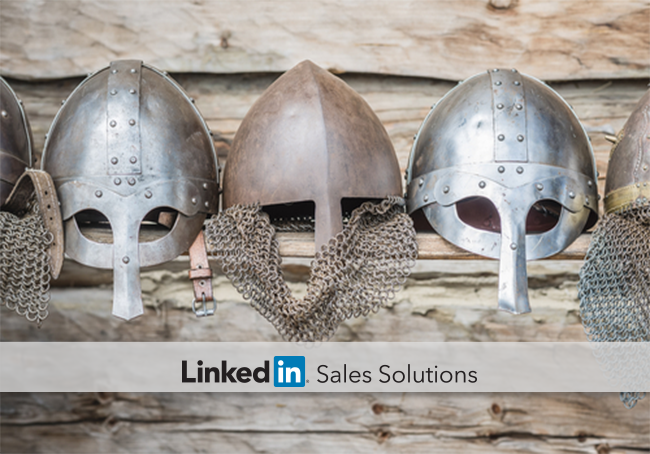 Download our eBook, The Art of Social Selling, to learn more about LinkedIn Sales Navigator.